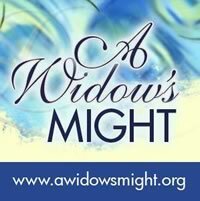 Since being on this widow journey, I have read several books that have given me comfort, and sometimes answers. Here are some of the best I have read. Perhaps some will help you or someone you love as well! The best source of comfort, strength, joy, and peace is our Lord and Savior Jesus Christ. I have read the book of Job several times since the loss of my husband, as well as spending a lot of time in Psalms. If you have not read His Word and gloried in what messages He has there for you, please pick up a Bible as well.